I've never commented before, but have loved your blog and Facebook posts. I just wanted to tell you that, and also to say well done for taking care of yourself by choosing to end a chapter of your life when it isn't working for you any more. Wishing you well for the future. So sorry to hear that you're closing your yarn shop and also this blog space here. 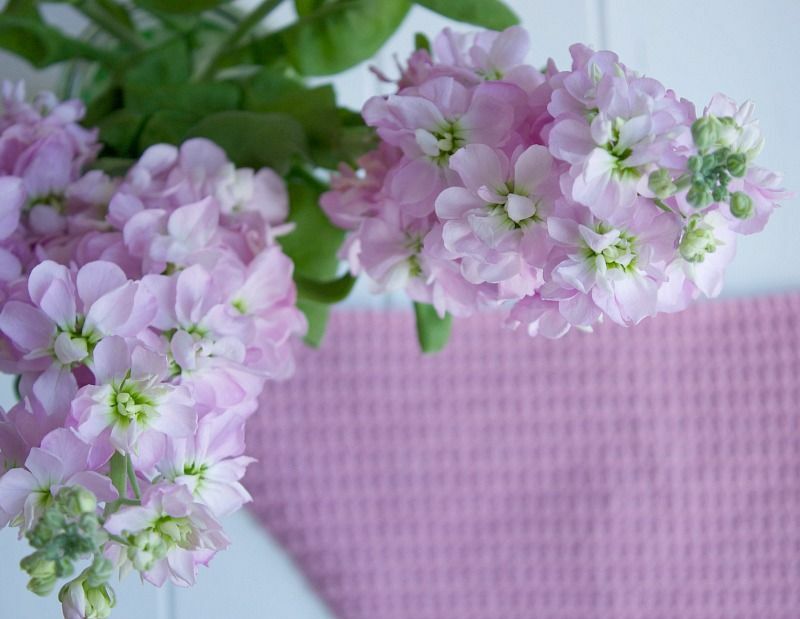 It has always been a source of inspiration to me through your lovely crochet patterns and gentle colours. I wish you the very best in the continuation of your journey. Awww, so sorry to see you go Heather, but totally understandable. I'm sorry you are closing up shop too. I wish I had made an effort sooner to visit you there. Thanks for leaving your gorgeous blog here for us to enjoy. And I'm sure you will be welcomed with open arms if you decide to return anytime in the future. Sending you a massive hug Lovely. Dear Heather, I'm sorry to ready this and understand many of your feelings. Aftern hard work it's very sad to close the shop but doing our best is not always enough. We had a beautiful craft, jewelry shop for one summer season but couldn't continue because of the economical situation in Greece and Europe. Lately I have been thinking also often about blogging. It doesn't give me anymore the joy it used to be. For me it's the only way to connect with quilters but blogland starts to be too quiet. You are brave to make the decision to step out from the social media which has become ouver whelming. We all feel like frauds in one way or another...I do every time I make a painting. Just our fears talking to us. To me you are wonderful and brave, and very talented. I will miss your beautiful colors in social media but I don't blame you a bit. I'm a bit tired of it all myself. Sad to see you go, love reading this blog ! I only found your blog around the time you were opening your shop, but I've quietly followed along for the past year. I so admire you for having the gumption to open your own shop, and even though it didn't work out as planned, you should pat yourself on the back for accomplishing what so many others only dream of! If your charming shop were near to me, I would have been a regular visitor. I wish you all the best and thank you for inspiring us all! Oh no! Sorry to see you go. Take care!!!!!! Its so very hard to leave social media, despite the negatives, so I commend you. Your well-being is paramount. I found your blog two years ago when I first learned to crochet. I loved your colors and your clean simple photography and the glimpse into another country. I will definitely miss your posts. I wish you health and happiness and peace of mind in this new chapter of your life! I don't really know what trials you are facing right now but my life turned completely around 12 years ago when I was 38. While all the changes were terrifying, I came thru it better than I expected and am happier than I ever thought possible! You've got this! I'm very sorry and sad to hear this, your shop is so lovely. As someone who loves grey you opened my eyes to the possibilities of pink!! You were so lovely and encouraging to my son who bought some wool from you to knit a scarf and hat (incidentally he shares a birthday with your son). I hope everything works out for you, you deserve to be happy and successful. I guess I was one of the lucky ones to get to visit the shop and I loved it. You were so open and generous and I will treasure that. Thank you for letting us know you are off and didn't just disappear so we don't worry about you too much. Thinking of you in your brand new future. I am sorry to hear this news, as I loved to pop by and read your lovely blog. I do hope your future is full of wonderful new times for you. Oh dearest H, I am so sad and sorry to read this but of course you know I understand. You have always come across exactly as you are, a genuine and wonderful soul. I am sure you also know how much your blog and the honesty of your posts here have meant to me. You'll be sorely missed. I am so sorry that you have had to close your gorgeous shop. It looked so lovely in the photos and if I didn't live on the other side of the world I would have visited. Missed my opportunity now. I think you are far too hard on yourself, you come across as a very genuine, sweet and happy person. I do hope that things pick up for you and that we hear from you again in the future. As for social media, I am sorry you have had trouble, I avoid it as much as I can. All the very best to you and your family, and hope this unfortunate time is soon a distant memory. Good luck! I've never commented on your blog but always enjoyed your posts on Instagram and Facebook. I would have loved to visit your shop- but I'm here in Australia!!! It breaks my heart to read stories like this. I hope in time your beloved crafts can help heal your wounds. I am so very sorry to read this but I hope that this respite will bring the peace and joy you are searching for. One day, hopefully, that call to rejoin this little piece of the world will come to you and just know that we will be waiting... because that is what friends do. You do you, we'll wait. I'm so sorry that beloved endeavor is coming to an end. But you tried. You put yourself out there. You did all the leg work and put your heart into everything. Your happiness and well-being is the most important and who knows what you'll embark on next when you're ready! I haven't been reading you for very long but I am so sad to read about this but glad that you are looking after you. Please continue to look after yourself and take care. Dear Heather, I am so sorry to hear this news but you have to do what is right for you. I will miss your on-line presence a lot and I'm sad I won't get to visit your little pink shop but what's important here is you. You are not a fraud, just a kind and talented lady with lots of friends/fans who I know wish you well in the next part of your journey - myself included. I have been in a few 'dark' places emotionally over the past few years and I know and understand the needing to to 'escape'. Oh no Heather, I am really sorry to hear the news. You are certainly going to be missed. I thought you were incredibly brave to open your shop but what you are doing now is even braver. I wish you all the very best for the future, it has always been an absolute pleasure to read your blog and to get to know you virtually. Wish I had been able to meet you in person. I just hope that you are ok. Please remember that you are NOT a fraud. People who make nasty comments should just go back into their holes and leave decent people alone - their nastiness is a reflection of THEMselves NOT the person they are abusing. I hope that you have as many supportive good friends in the real world as you do in this virtual one and that you can find the peace, strength and happiness you need. You're an amazing lady and have every right to be very proud of all you have accomplished and contributed to us all. Wishing you the best that life has to offer. Take care of yourself! And thanks for everything. Hello. I have just began reading your blogs. They are wonderful! It is with much sadness for whatever you are going through, that your are stopping. About 6 years ago I had a brick and mortar scrapbook store. Unfortunately, the econmy here in the USA was bad, and I quit my business. It took a long time to feel "right" with my decision to close. Now, I sell on etsy. Not much, but it's fun. I can make what I want, if it sells eventually, it does. I wish you well. I hope you are not ill. If you are, you are wise to take care of yourself. Take care. Stay positive, especially about what you have accomplished! It was hard work for sure!! You must be proud of yourself that you were able to maintain your business, for as long as you did! May your days ahead be whatever you need them to be. Peaceful and happiness will come your way, again! May God bless you and watch over you! I am sending you all my love from Richmond,Virginia. You have made a decision that considers what is best for you. This too shall pass my dear. Oh dear. I didn't see that coming at all! I'm not sure what to say... You will be missed for sure but I wish you all the best for your future... I will miss the Pink Milk with bubbles, rambles, tears and laughter. Don't feel like a fraud. Be proud. You never did anything wrong, you just followed your heart and will continue to do so. Much love. Hello -- I have enjoyed your blog, and I am sorry to hear you are closing your shop. I just wanted to say I do sympathise- I have had to try and keep on, when all I have wanted to do is run away. I do know how painful life can be. Hang in there. Dear Heather I am have loved your beautiful blog over the years and admired your creative talent and eye for colour. I know you have been having a bad time lately, but one day you will feel better and your life will take you to happier places. I wish you peace of mind, joy and happiness in your future. Sending you all good wishes and much love. I am so, so, sorry. It's like the Shop Around the Corner in the movie You've Got Mail. I have said often how hard it must be for a small business to close, after the owner put in everything they had. Take care of yourself, will you? Look back with happiness and remember how happy you made a bunch of quirky, only slightly older than you (��) people. May blessings rain upon you! Find yourself, take your time but if you think it right/possible come back to your blog because you are a GREAT SOUL and great souls enrich the others, sorry for my English. Oh dear, Heather. I'm so sorry. For whatever you are going through. May you find the inner strength to get through to the good stuff that is waiting for you on the other side of the struggle. Sending you so much love and happiness. Lovely Heather...I have adored your beautiful blog over the years. However, I totally understand the need the stop. I'm sorry to hear about the shop but you have done your very best in difficult circumstances and for that you should be so proud. Amazing things are just round the corner for you, lovely lady, I just know it. Much love to you. I am realitively new to your blog & don't normally comment, but felt it important to thank you for sharing with us all. Running a small business is such hard work, and it is a " real" part of you, so hard not to take criticism and closure personally (this is speaking from experience). I do hope you find peace & happiness wherever you end up. Thanks again for sharing. Take care of yourself. Meredith, Australia. Heather Everyone before me has said it all. I shall just add I will miss you wonderful blog and fab sense of colour. I think you are an amazing lady & to have the courage to open your shop & give it a go is brilliant. You will never have the "what if" scenario.Don't look back & I wish you of love and happiness as you move forward to your next stage. Thank you for all your inspiration. Heather, i feel sorry for the decision of the shop. I often say to my boyfriend: "There is a shop in Leicester...that is so lovely...my dream is to have one like that". I also love to read this blog and all your amazing pictures and colours. I don't believe when you say you're a fraud...we more or less know you're crossing obstacles, but the most important thing is: you can still see the beauty of things! This is a lesson, it's a very inspiring issue to me! I respect your decisions and hope, deep in my heart, you find the best ways for you :) a big hug from Brazil. I wish you all the luck In the world as you go forward. I hope life is kind to you as you deserve this. The is a new beginning for you full of exciting things to come. This makes me so sad. Ive not long found your lovely online blog and little shop. Take care. I hope to see you again sometime. I live in Australia therefore I never saw your shop. I loved your blog and will miss your posts. I have actually made some of your patterns! Take care of you and yours... and please come back! "I've often felt a bit of a fraud and have regularly wondered what you've seen in me!" You should feel proud of following your dream. 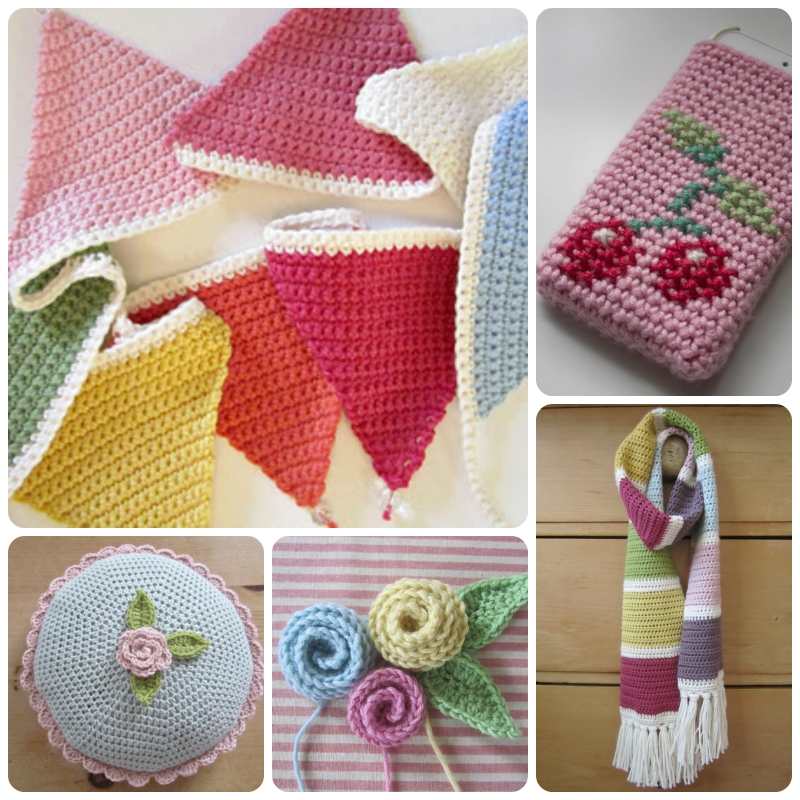 I have loved reading your blog and crocheting your patterns. Good luck for what comes next. I hope things turn for the better really soon! I'm just popping my head in your door to wave and tell you I miss you very much. Hope that life is treating you gently and that the two months since you wrote this post have been kind. You have not been forgotten my lovely, you left rather a big gap behind when you gently closed your door. I just wanted you to know that I think about you often and hope you are well and that you are taking good care of yourself. There is a void with you gone because you are special and have such a very lovely soul. Sorry to hear about your little pink shop. It has always been a dream of mine to have my own little shop one day. I wish you to heal and find happiness going forward. I hope all is straightening up in your world Heather.I check often in the hope that you have returned to us.Sending much love to you my dear,keep well. Miss you. Please come back.